For years I have been using the Antiseptic Healing Sudocrem on my face to help get rid of my acne. Whenever I had cut myself or had some dry skin, I turned to Sudocrem which myself and my mum always referred to as 'Magic Cream' as it always did wonders. 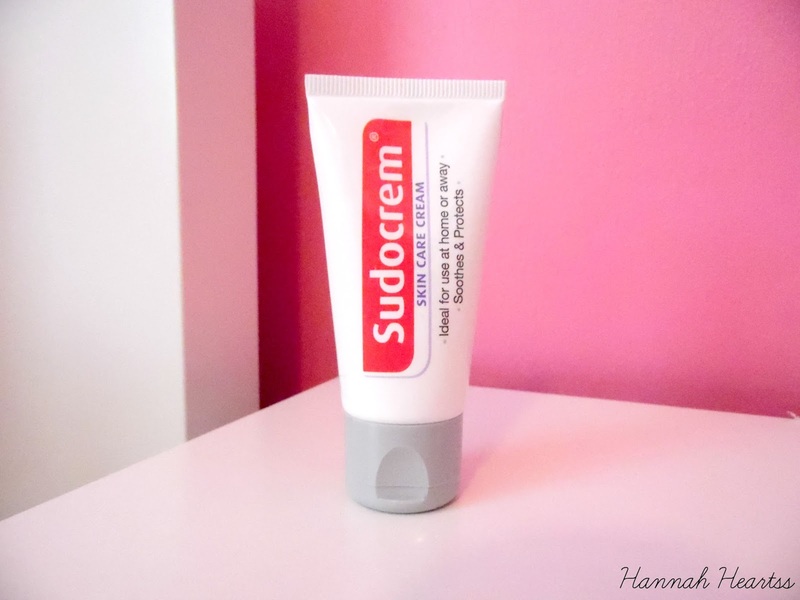 Until recently I didn't know that Sudocrem had released a Skin Care Cream* specifically for teenagers and young adults with spot prone skin - amazing! This skin care cream smells the same as the antiseptic healing version (which I really like) and still is at bright white colour. This is the 'grown up' version of the Antiseptic Healing Cream and comes in a handy small size so it is perfect for leaving in your handbag in case you need it. I am extremely high hopes for this cream and it went above and beyond. I have always have cystic acne which is basically a nodule/cyst deep within the skin. These are incredibly painful and last anywhere from a week to a few months depending on how bad they are. These leave behind such horrible redness and lumps which never seem to fade - until I used this. Before I started to put this to the test, I actually ended up having one of my painful lumps so I really put this cream to the test. I applied a generous layer all over my face and the first morning after I used this I noticed a massive difference in my skin and a huge reduction in the lump with all of the redness almost gone! I used this every night for a week and the lump has gone (on their own they normally take around 3 weeks to a month or two to fade away). I have also been suffering with dry skin around my eyes, my eyes are extremely sensitive to any product that I use, and this made my skin go back to normal within a day or two. I have always had quite dull skin which is mainly my fault because I slack when it comes to my skin care. However having used this every night, I woke up to a lovely healthy glow which I have never had before. The healthy glow was commented on my a few friends and family so you know something it working right when other people notice! This cream has been the perfect addition to my skin care routine and I am going to repurchase this as soon as I run out as I don't think I can be without it now! Do you want to know the best part? This cream retails for £1.99! The results I have got since using this cream I would happily pay up to £25 for a cream like this so for it to only be £1.99 is amazing! I would recommend this to anyone, no matter what your skin type, if you suffer some any acne or spots and dryness - this cream is the one for you! I would only recommend that you use this as part of your night time routine as this cream is on the thick side and does leave behind that white ghost effect. Have you tried this cream? What did you think of it?